Happy New Year to my lovely readers! Thank you so much for your support in 2015, I will still need you in 2016 as I am planning to reach new heights ;-) I am never short of challenges - rather the opposite actually, and I just hope to have enough time & energy to achieve them all! 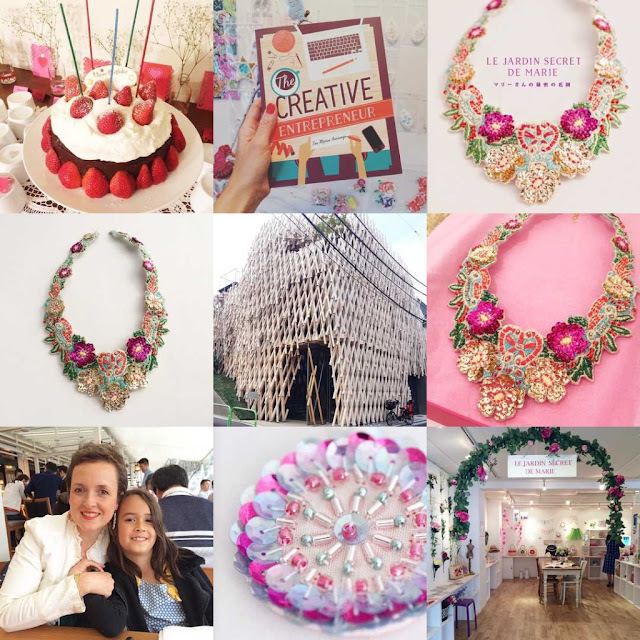 The photo above sums up the 9 most-liked photos on my Instagram in 2015. 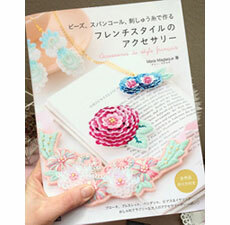 Clearly there is a message there: you love the embroidered necklace I created for my Spring exhibition in Tokyo! I will create new pieces this year, with new color combinations, promise! 2015 have been busy, and fun, and I have learnt a lot along the way. I have made tremendous improvement with my Japanese & communication skills (although I am far from being fluent in Japanese), I have made new friends and new business contacts. My work was published in the beautiful book by Isa Seminaga, The Creative Entrepreneur, which I will review on the blog soon. I held two exhibitions in Tokyo at Gallery Palette [read about them here, here and here] which were so much fun to create but also a ton of work. Somehow I cooked and baked less than in previous years as I couldn't continue my collaboration with Niki's Kitchen, but I am planning to get back to it in 2016, as I miss my students dearly! 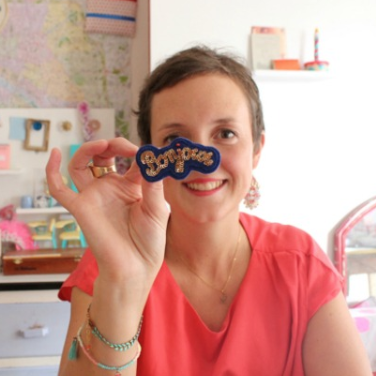 I continued working and creating during the summer - while in France, creating the decoration for my sister's wedding (I realize that I haven't posted any photo on the blog yet, OMG) and working on my DIY Craft Box for Tilda Japan, which launched last November. This collaboration allowed me to teach two workshops at Mitsukoshi Nihonbashi in Tokyo, the eldest department store in Japan, in December. A lovely way to end the year! Happy New Year! Bonne Année 2016! !